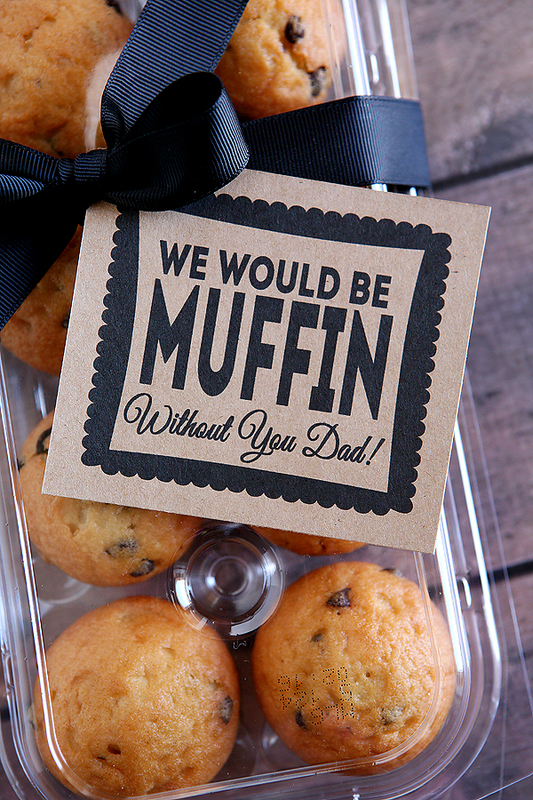 Make the Papa of your family feel extra special this Father’s Day with these amazing personalised gift ideas. 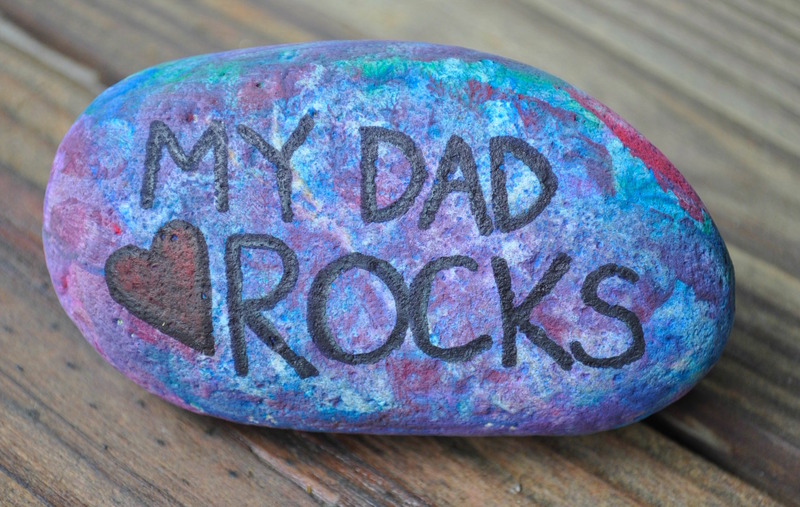 Here’s our picks for the 12 cool personalised gift ideas sure to make Dad smile on Father’s Day. 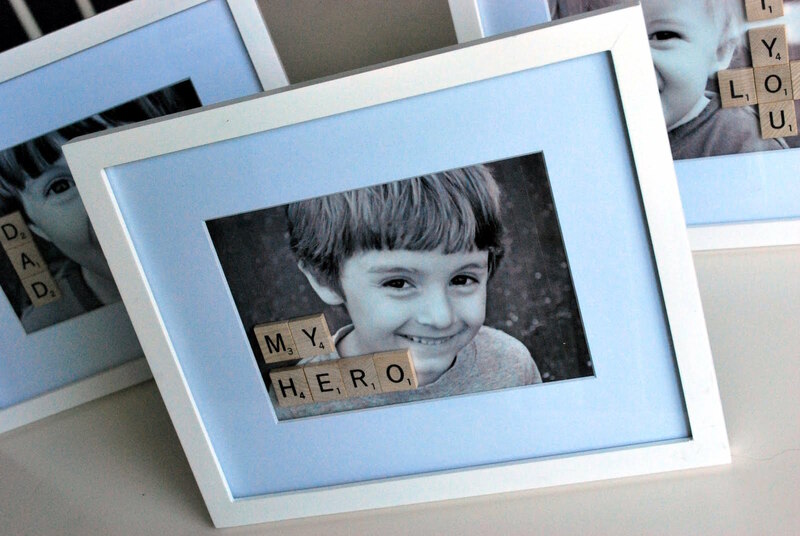 Get the kids involved by putting together a cute homemade picture frame using scrabble tiles. 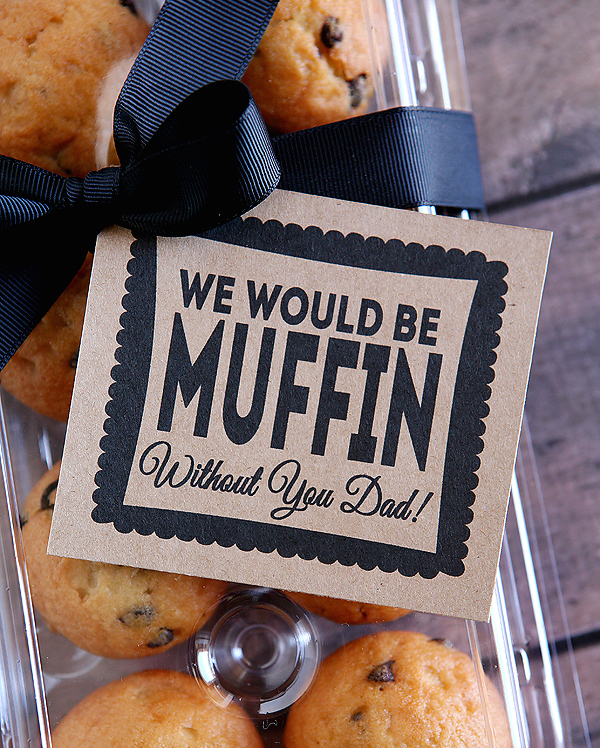 This ‘We would be muffin without you, Dad’ dessert present idea is perfect for pun-loving papas! Is he new to being a dad? 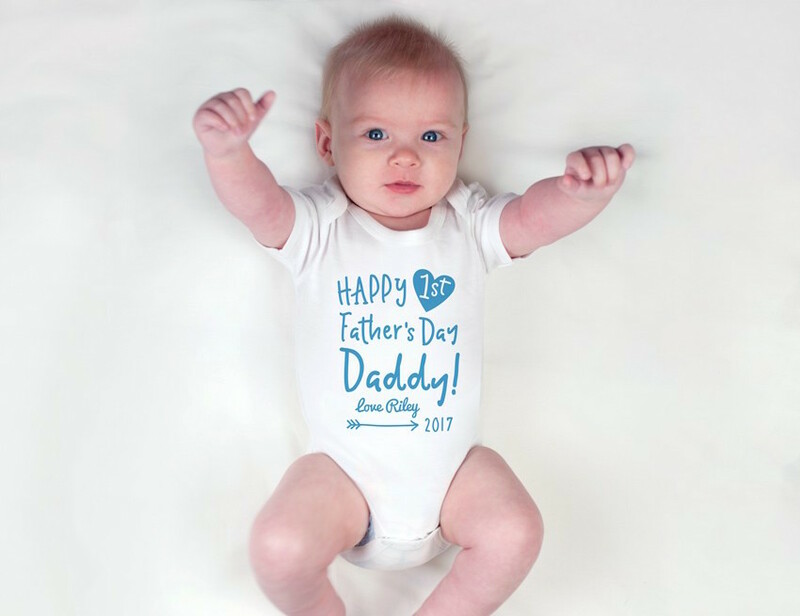 This personalised 1st Father’s Day onesie is such a cute idea to celebrate his very first Father’s Day. Or if it isn’t his first, then don’t worry! 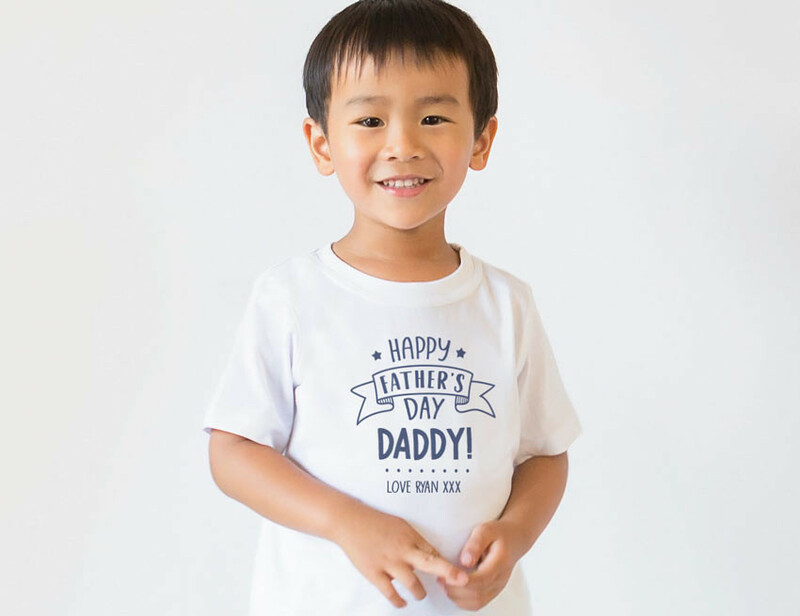 There are plenty of other personalised kid’s clothes designs perfect for the kids to show off their love for their dad. 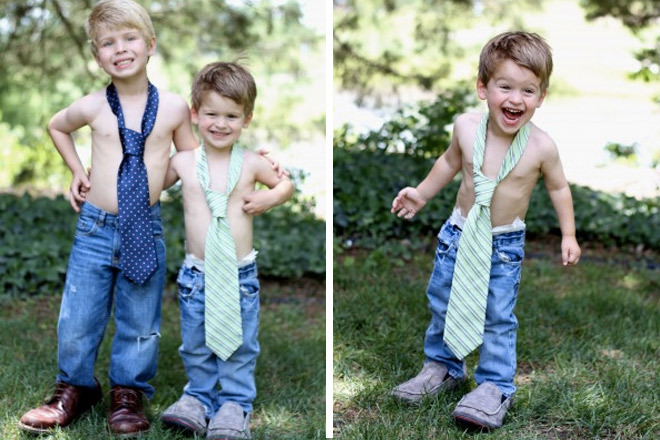 Kids grow up so quickly and nothing is more special than watching them grow, why not capture it in a photoshoot for dad? 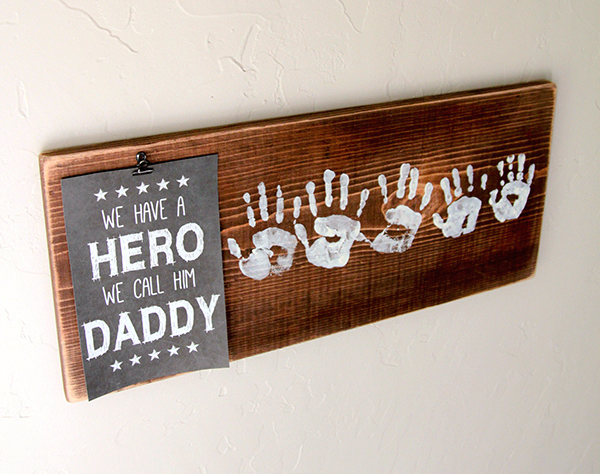 Why not have a go at making one of these adorable homemade family hand prints boards? 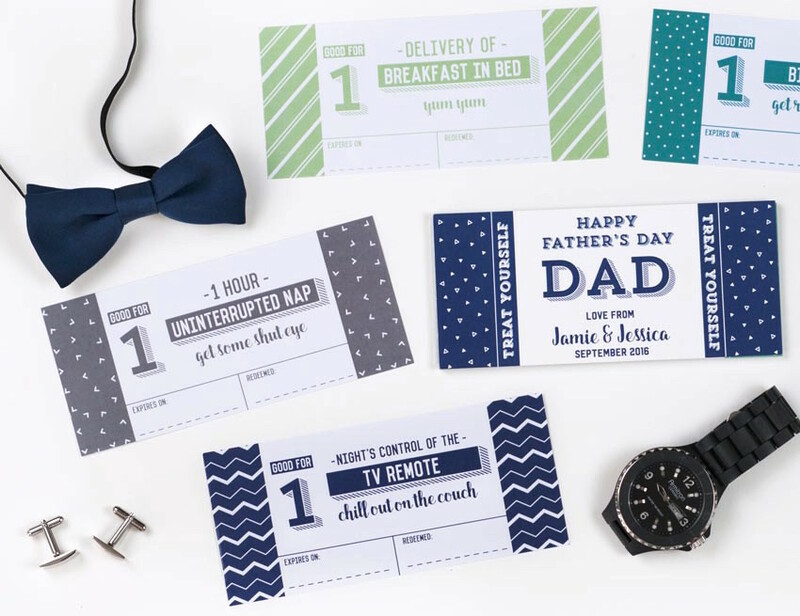 Dad will love these personalised Father’s Day vouchers from the kids to use all year long! Is dad rocking a moustache at the moment? 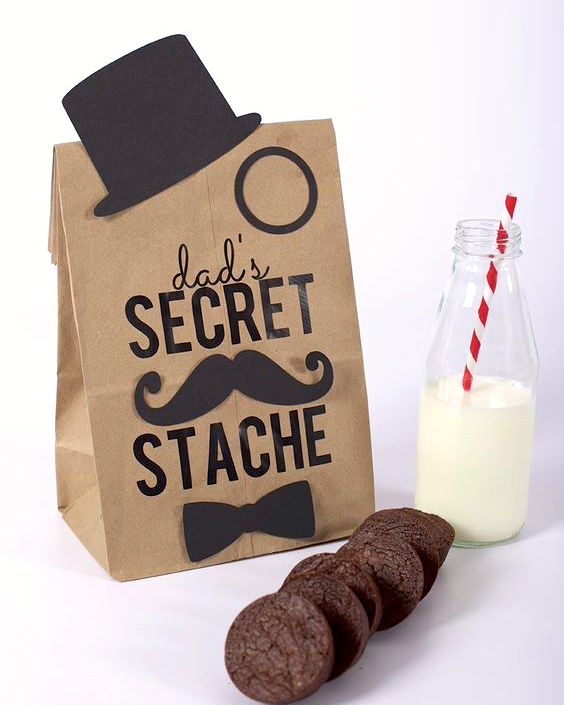 Make him a secret stache cookie bag – perfect for dads with a sweet tooth! 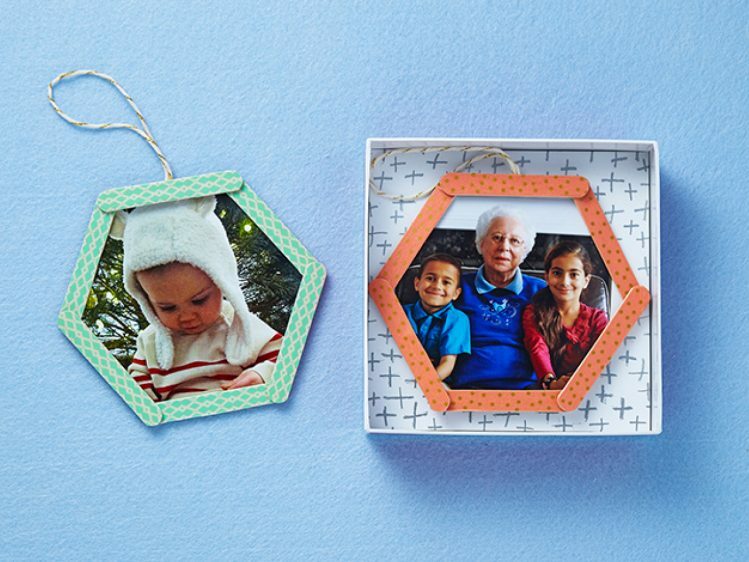 These beautiful popsicle picture frames are easy to make and will be a cherished keepsake for dad this Father’s Day. This personalised licence to grill apron is perfect for any wannabe BBQ master dads out there! 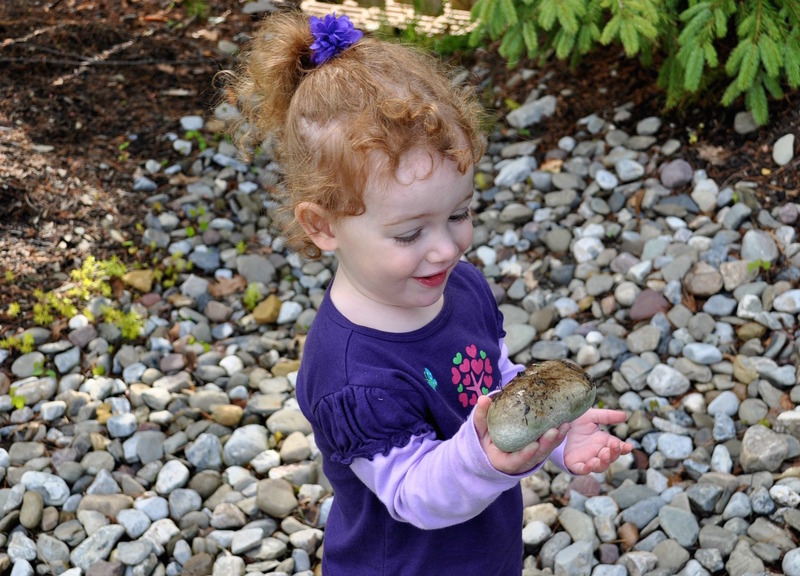 Pinch some stones from the garden and help the kids make a cute my dad rocks keepsake! 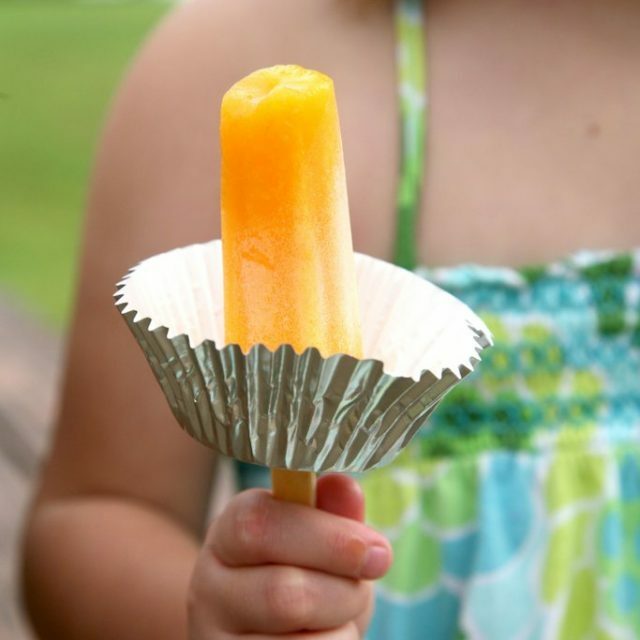 Do the kids love to help dad cook? 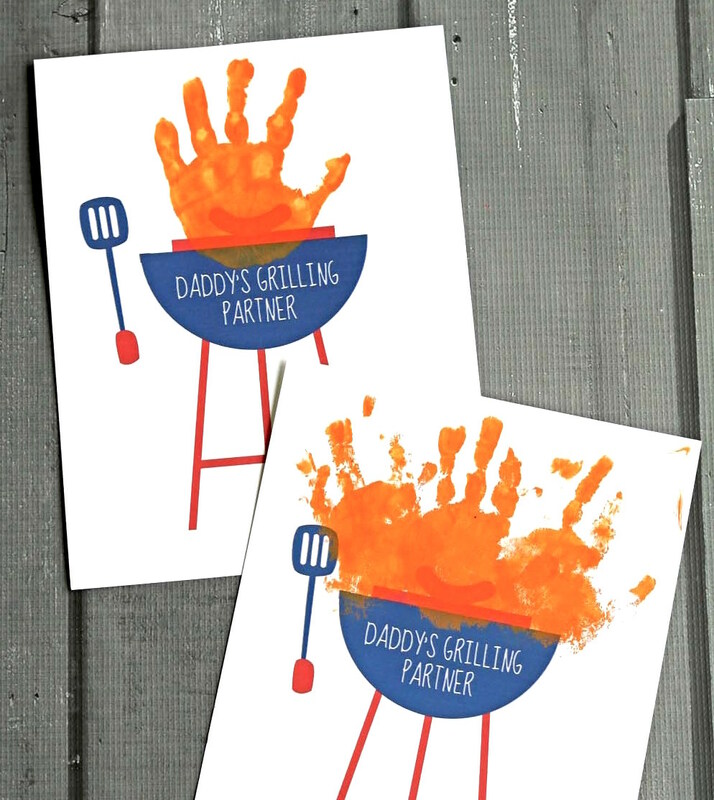 Using your kid’s handprint, you can make this homemade hand print grill partner card! 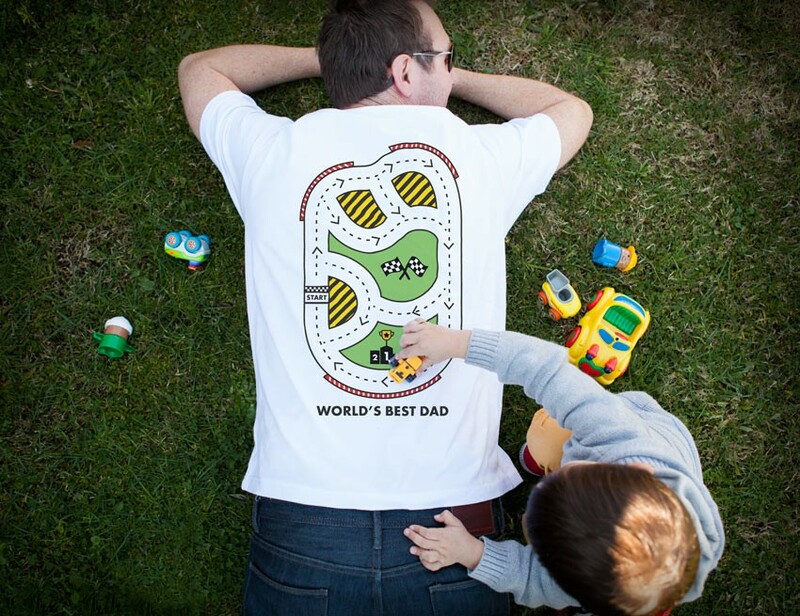 Let your kids give dad a well deserved back massage with this cool road massage t-shirt. We hope you’ve enjoyed our list of personalised gift ideas for Father’s Day. 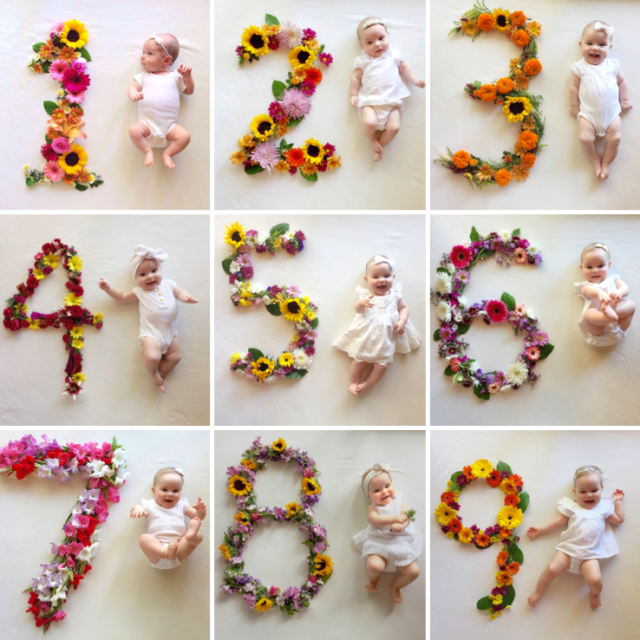 Please feel welcome to share any pictures with us if you try out one of the ideas!